Missouri artist Laurel DeFreece has worked in many different media during the course of her career, but this exhibition represents a bold new direction. Native prairie grasses, sticks, and other found elements have inspired DeFreece for years. 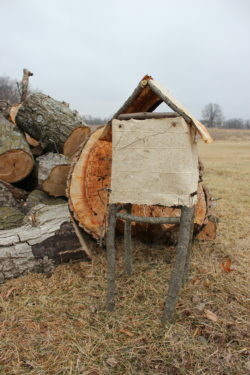 Utilizing these materials, she has made her own natural paper for prints, collages, and even sculptures. The exhibition as a whole explores DeFreece’s fascination with the prairie biome that surrounds her rural home in Plattsburg, Missouri. The exhibition opens on Friday, January 11, 2019, from 4:00 p.m. to 7:00 p.m. and ends on April 7, 2019.